Real Madrid’s Luka Modric has been awarded the Ballon d’Or on Monday night, bringing to an end the 10-year dominance of Cristiano Ronaldo and Lionel Messi. According to The Guardian, the Croatian midfielder was named as the best player in Europe at tonight’s ceremony in Paris, ahead of ex-Madrid teammate Cristiano Ronaldo, who had to be content with second place. Atletico Madrid striker Antoine Griezmann secured a top three spot, while fellow Frenchman Kylian Mbappe was named in fourth, after picking up the ‘Kopa’ award for the best U-21 player earlier in the evening. Barcelona captain Lionel Messi came in fifth, his lowest finish since 2006, having been in the top two along with Ronaldo for the last 10 years. Luka Modri? has won the 2018 Ballon d’Or! ?? 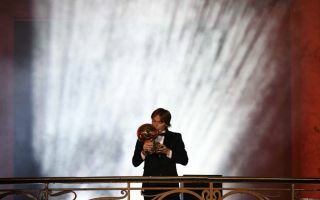 The Argentine magician has shared the prize equally with the Portuguese star over the last decade, with five wins apiece, but their stranglehold on the famous trophy has finally come to an end. 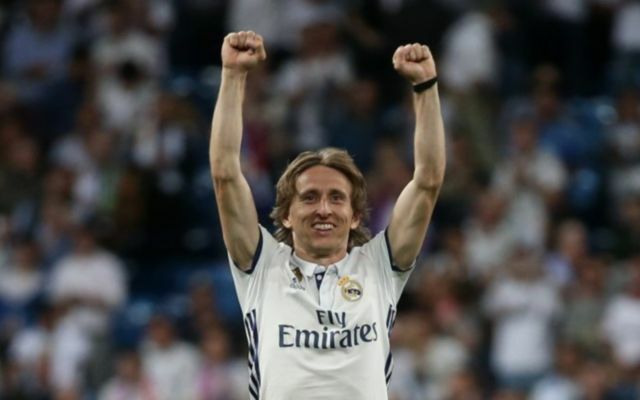 Modric enjoyed a stellar 2017-18 season at the Santiago Bernabeu, winning a third successive Champions League and standing out in midfield with his exceptional range of passing and ability to drive the team forward. The 33-year-old also played a starring role on the international stage for Croatia at the World Cup in Russia, captaining the side during their unlikely run to the final, which ultimately ended in heartbreak as France ran out 4-2 winners. Ronaldo was also a part of the Madrid side that conquered Europe once again and he hit 42 goals in all competitions for the club last term, before securing a big money move to Juventus during the summer transfer window. Messi scored 44 goals in total for Barca last year, which helped lead the team to a domestic double in Spain, but he was still named outside of the top three this time around, in undoubtedly the biggest shock of the night. This latest result is sure to cause a debate amongst football fans but no one can begrudge Modric his moment in the spotlight, after being arguably the most consistently brilliant midfielder in the game for a number of years now. In any other era, the veteran playmaker might have won the Ballon d’Or multiple times already, but Messi and Ronaldo have raised the bar in terms of standards of excellence in the modern game and they will both surely bounce back with a vengeance as they bid to reclaim the crown next year.